Sarah Kilch Gaffney lives on a little piece of land in central Maine where she writes and works as a brain injury educator/advocate. She loves the woods, lives too far away from the ocean, and finds microbiology and the art of homemade caramels equally fascinating. 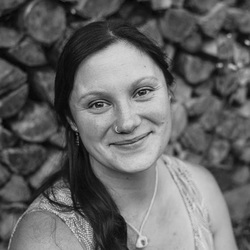 She is a member of the Maine Writers and Publishers Alliance (with a profile on MWPA's Find Maine Writers site) and is also a reader for both Hippocampus and Atlas & Alice Literary Magazine. "Here in mamalodeland we receive a lot of really amazing submissions. And sometimes one will just stop us in our tracks. They take us to another place. Totally distract us from anything else happening around us. Make us want to reach through our computers and hug the writer. To meet them. To take care of them. This is one of those stories...." -Mamalode on "Last One Standing"